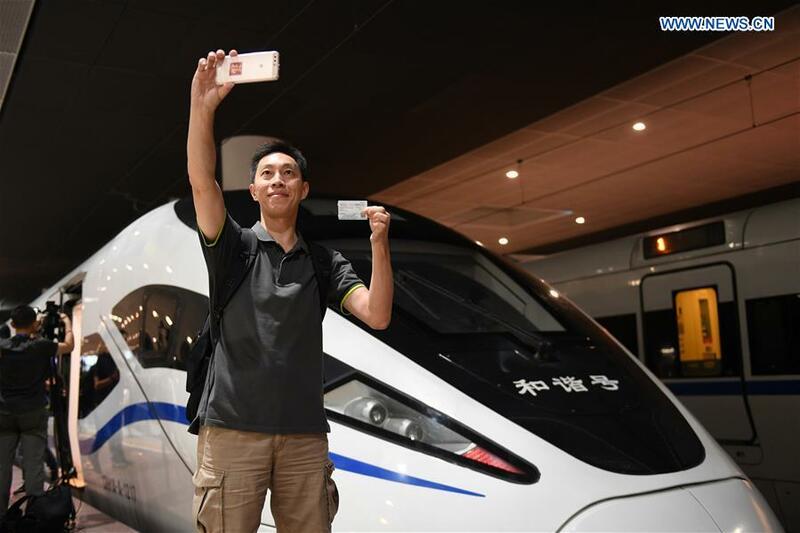 The opening of the high-speed rail link between Hong Kong and the mainland has once again brought the economic benefits of this new age technology into the limelight. A long way since 1876, when the first commercial train was launched in China, this new catalyst for continued economic growth is gradually becoming the norm. The network is changing China in many ways. Like railway towns that sprouted along the tracks in 19th century Britain and America, urban growth in China too is following the rail lines. Offices, residential areas and shopping districts which were non-existent only a decade back, are mushrooming as lines continue to be built. Adjacent to congested commercial cities, where house prices are comparatively high, bullet trains have created new satellite towns. All the amenities of large metropolises are available to these towns through their fast transport links. Local governments find it especially helpful to efficiently manage large, but not oversized cities. This high-speed railway network has resulted in the creation of business opportunities. It is an extensive eco-system that is generating profits not merely through the sale of tickets but through its overall economy-boosting capacity which is driving China forward despite international financial turmoil like the recession of the 2000s and protectionist moves of this year. At the same time, it is redistributing economic activities across the country and revising traditional business models. Remote cities which previously used to carry out commercial activities in isolation are now connected with large industrial zones. Meanwhile, the cities in close proximity sharing common industrial capabilities are forming economic clusters and building on their mutual expertise. Economic imbalances between China's east and west are also fading. By way of the increased connectivity, lesser developed regions like Xinjiang are catching up with developed regions. The province, previously lagging in economic growth, has transformed into a major logistics center of the Belt and Road Initiative (BRI). Its capital city, Urumqi, is today a prime destination for businessmen from the east to conduct export-related affairs. Individual businesses are also expanding in the deeply integrated economy as stakeholders from the service and manufacturing sectors become closer. Labor is increasingly flexible, and consumers are ever willing to travel to other cities. Business seekers from foreign countries find it easier to travel deeper and further in China to reach the right manufacturers. Interior cities, which have lower wages than the developed east coast, are more attractive now with increased connectivity and accessibility. With their increased passenger handling capacity, the high-speed trains are taking the burden off regular-speed tracks. This provides added space for freight transportation, bringing in extra energy supplies to factories located deep in the mainland and taking an additional amount of their manufactured goods out to the ports. Another major aspect of this futuristic system is its impact on holiday travel. The national travel spree that takes place every year with the Lunar New Year has often been called the world's largest migration. Contrary to the experiences of the past where it took days for the government to cater for this colossal surge, the new network can better accommodate the load. China's social environment is changing as well. People who used to visit their loved ones less often due to the long distances are now traveling more frequently. This is improving the already strong structure of Chinese society that is ingrained in well-established familial links. The tourism industry has also been boosted by the high-speed train network. People can now make trips to places which couldn't be reached before over a weekend. Similarly, they have greater access to remote areas and less explored regions of the country. Consequently, there has been a massive economic inflow at tourist destinations where the lives of people connected to the industry have been dramatically improved. Gratefully, the government has not set fares in line with the trains' speed. A one-way trip from Beijing to Shanghai, for example, costs a mere 80 dollars. This is an essential prerequisite for the venture to be successful. On the other hand, income levels have been constantly rising, thus reducing the affordability gap. High-speed trains are significantly contributing to China's economic and social growth. In reaching Hong Kong, it now provides Hong Kong with better integration to the BRI and with the Greater Bay Area. As the network continues to expand, it will not be long until all regions of the country will start progressing at the same interdependent pace. Daniel Hyatt is a Pakistan-based freelance journalist and commentator. The high-speed rail economy is a catalyst for continued economic growth and has a wide variety of primary and secondary benefits.